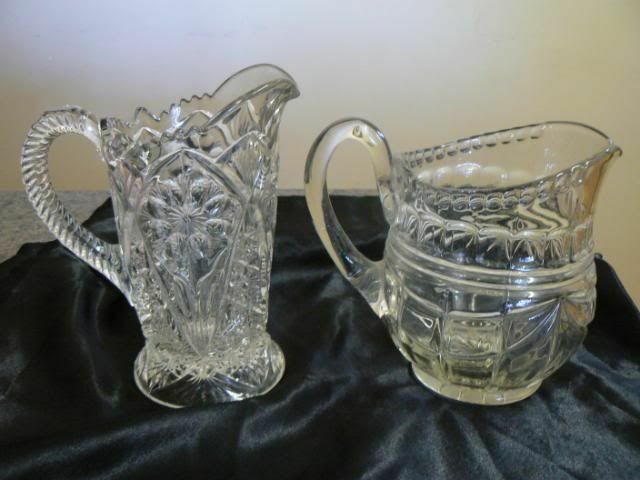 yes kk, and thanks for the blown up images - it was the shorter of these two water jugs that I thought was possibly a piece of cut glass - but I was mistaken as it appears to be pressed, now that I can see them more clearly (are they in fact both pressed?). However, very nice and of course quite useable. Did you manage to find an attribution for them?? Page created in 0.804 seconds with 22 queries.